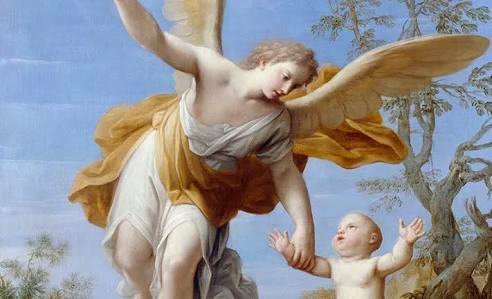 Angels this week guide you to practise forgiveness. Forgive yourself and people who may have hurt you in past. Dont burden yourself with resentments as it creates more pain and blockages in your life. Forgive, forget and let go, release to the divine what is causing pain. Welcome the new set of energies. Pay attention to new people or partnerships coming into your life as they are sent from heaven to help and guide you. You may recognize them with a sense of familiarity, comfort and safety you feel around them. Pay attention to heal your inner child, like other children you also need selfless love ans care. Heal the childhood issues bothering you as that is what you need to identify & heal. You work with children, love is the only thing that can win their heart n soul. Try to serve or help children in need. You may be feeling stuck or in a problem, its a blessing in disguise, however, god & angels are working behind the scene to help you. The situation will unfold as per divine time and you will know why it has happened. Stay optimistic and have faith. Something is better than nothing. Trust the divine way of protecting you, blessing you with divine wisdom and answering ypur prayers in divine manner. God knows better than us, so, have faith. Go with the flow! Just focus on serving, dont expect anything in return. Whatever you do, keep focus on serving and balance your give n receive in whatever way you can. Money isnt always a way to help, working and helping others selflessly is also considered a giving back nature. So, in every situation, you have something to receive and give back accordingly. Your joy is in selfless service only.